Medical costs associated with your injury or illness, such as doctors’ visits, your medication, or any other costs associated with your treatment. Lost wages based on 2/3 of your weekly salary. Vocational training, if your injury or illness leaves you unable to go back to your exact job. Disability payments (permanent partial or total) if you have reached “maximum medical improvement,” yet are still injured or disabled. Disfigurement benefits, if you sustain an injury that causes permanent scarring. Death benefits for family members for a worker who died in the course of his or her job duties. In order to be eligible for these benefits, you must be an employee. However, often times an employer will attempt to classify an employee as an independent contractor to avoid its obligations under the law. In addition, the law in some industries – such as construction – require general contractors to make sure its independent contractors carry workers’ compensation insurance. If not, the general contractor may be on the hook for workers’ compensation benefits. Certain industries have their own programs and funds set up for workers. For example, if you work for the federal government, you have to apply for benefits under the Federal Employees’ Compensation Program, not the North Carolina program. 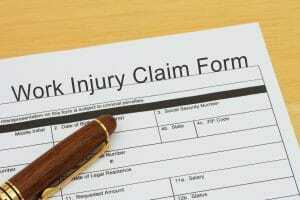 Workers’ comp or personal injury lawsuit? Under certain circumstances, a third party may be responsible for your injuries. In such situations, it is almost always in your best interests to file a personal injury lawsuit against the third party for its negligence. If the lawsuit is successful, you can receive compensation for things not covered by workers’ compensation, such as pain and suffering and lost earning capacity. Many times, it is not always apparent a third party bears any responsibility for your on-the-job injuries, such as a defective product or hazardous condition on a business premises. That’s why it is always important to fully investigate any workers’ compensation claim for third-party liability. One of the benefits of working with our team at Warren & Kallianos is that we handle workers’ compensation and personal injury claims arising in the work place. Because of our experience to identify potential third-party claims, we are in the unique position to get you compensation for those things workers’ compensation does not cover. If you were hurt at work, you have legal options available to you. Warren & Kallianos, PLLC is based in Charlotte, but our attorneys represent clients throughout North Carolina, and offer in-home and in-hospital visits if you are too disabled or injured to come to us. To schedule a free consultation with an experienced workers’ compensation attorney, please call 704-275-5593 or fill out our contact form.